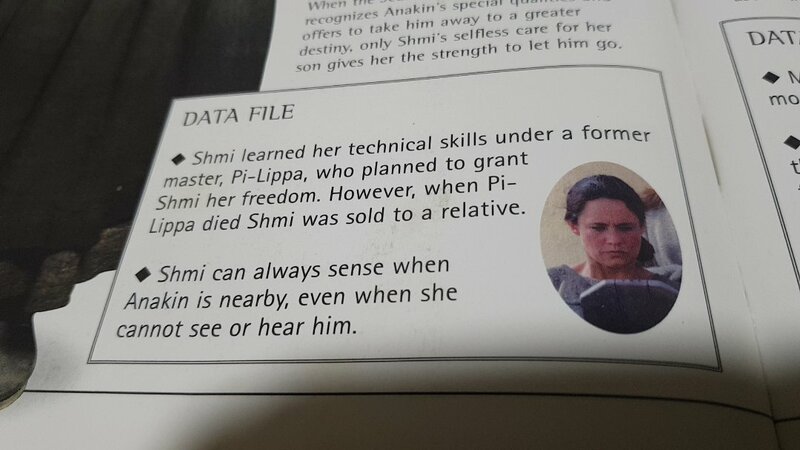 Is there anything to show if Shmi Skywalker (Anakin's Mother) was Force sensitive? And, along that line, is there anything to indicate that the whole "virgin birth through midichlorian fiat" or the "virgin birth via Plagueis playing with the Force" would not be possible unless she were Force sensitive? It is probably safe to say that she wasn't force sensitive, mainly because it further adds to the legend of Anakin, but I don't think it is ever truly established. Midi-chlorians exist in all lifeforms, this is shown when Plagueis manipulates King Veruna's midi-chlorians (who did not possess enough of them to be considered to be Force-sensitive), which in turn slowly killed him. The other item that the novel establishes, is that Anakin was born as a direct result of midi-chlorians thwarting Plagueis' attempt at tipping the balance of the force towards the dark side.